Clayton Biglow, who competed for two years on the Feather River College rodeo team — 2015 and 2016 — had a great year in 2017. 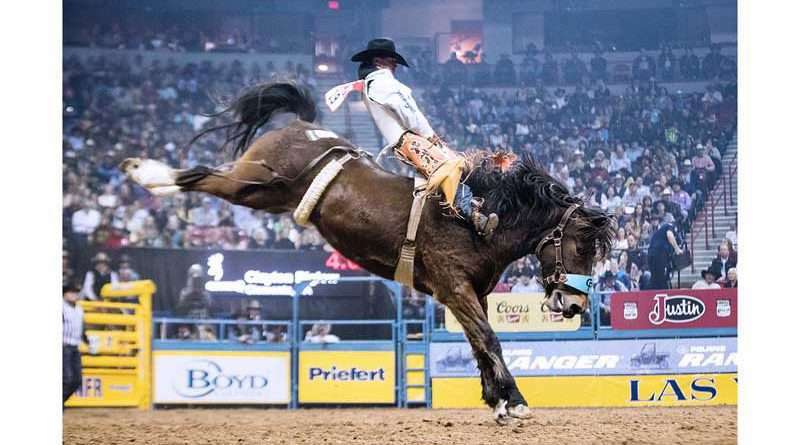 Biglow headed into the Wrangler National Finals Rodeo competition in Las Vegas this past December in third place with accumulated winnings of $128,153. Last year he finished the Professional Rodeo Cowboy’s Association season with a total of $171,064. Biglow came to FRC from his home in Clements, 200 miles south of Quincy. Rodeo has taken Biglow all over the country winning titles and competitions not only in California, but in Oklahoma, Washington, Missouri, Oregon, Utah, South Dakota, Arizona, Idaho and Nevada; and those are just the 2017 wins. Biglow turned 22 on Dec. 18. “He now sits fourth in the world standings with $200,577 in season earnings,” said sports writer Ted Harbin after Biglow placed second on night eight of the Wrangler National Finals Rodeo in Las Vegas on Dec. 14.